Blue Gelato 41 by Barney's Farm is a feminised cannabis seed that has its origins in the cross between the famous Blueberry and the Thin Mint Girl Scout Cookies. The result is a variety of cannabis that stands out for its stimulating aromas and a clear, energetic and inspiring effect. Blue Gelato 41 has a slight Sativa dominance that in most cases develops phenotypes of huge plants, branched and full of buds. 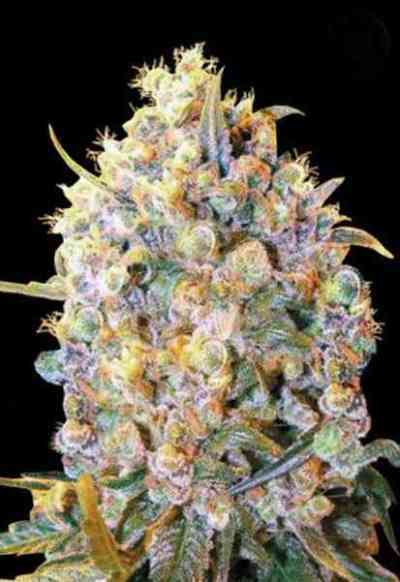 In 9/10 weeks it offers a total display of purple / blue flowers that exude an intense sweet, earthy and citrus aroma. If it is grown outdoors it can reach 2 meters in height, it is also a plant resistant to mold and moisture. 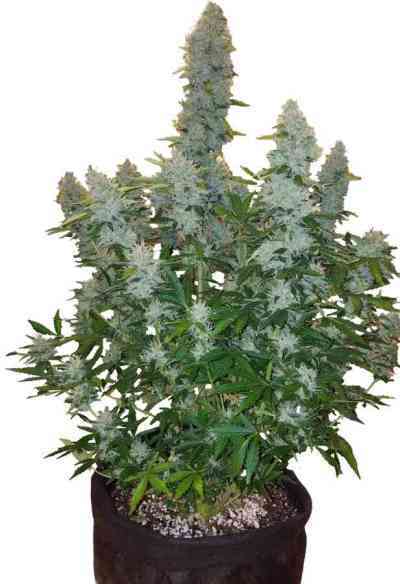 Blue Gelato 41, has the virtue, among many others, of giving the grower high returns; 3 kilos of resinous buds. It is a perfect variety to make delicious hashish extractions. Its aroma and its citrus flavor with sweet and earthy notes are a delight for the senses. The effect is mental, energetic and psychedelic, combined with a smooth and pleasurable muscle relaxation.